Exclamation marks are a powerful tool in marketing communications that can be commonly overused and misused. In an attempt to emphasise important and exciting messages, it can be incredibly easy to muddle the audience and create copy that is hard to read and understand. 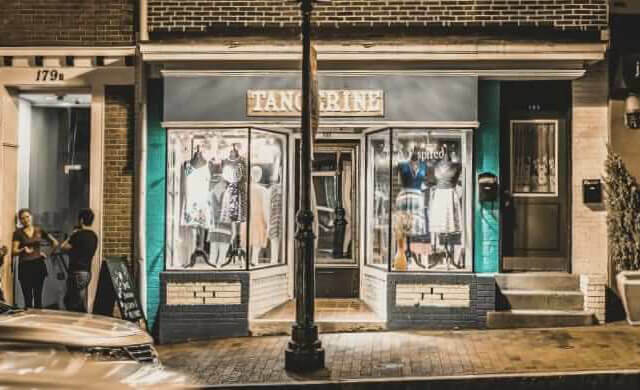 We’ve put together a few tips for using exclamation points the right way (and the wrong way) with examples from brilliant Bristol businesses. When we hold conversations in person, we communicate with far more than just our words. Facial expressions, vocal inflections and body language can give the same sentence 20 different meanings. When we only have our words, things get a lot harder. You know that moment when you send a text to a friend, a message that you think is perfectly innocuous, and somehow they’ve ended up with the complete wrong end of the stick? That’s because you didn’t have your other communications tools, they’ve filled in the blanks with their own inflections, and come out with a completely different meaning. This happens all the time in marketing communications, and probably the easiest way to do that is by using (and over-using) exclamation marks. Discover our exclusive range of colour changing socks. Discover our exclusive range of colour changing socks! In a lot of places though, it can do more harm than good by putting the emphasis on the wrong message at the wrong time. 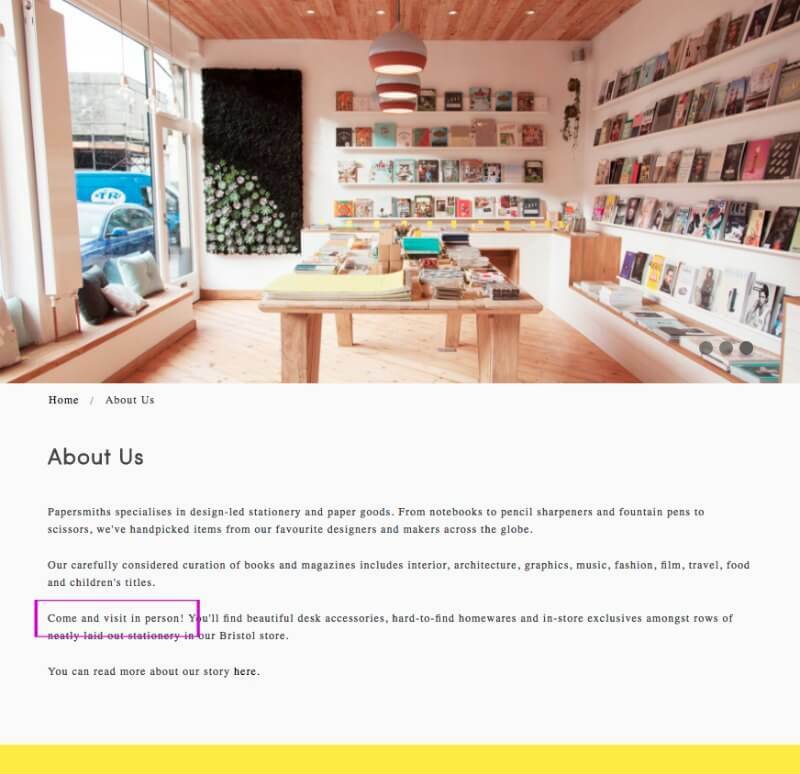 This effect can be quite minor, Clifton Village-based Papersmiths (who have just the most beautiful shop and beautiful Instagram feed) have a really chilled, artistic and aspiration tone to their communications. However, on the About Us page of their website, a rogue exclamation mark in the third paragraph, “Come and visit us in person!” is a little jarring, and feels more desperate than the rest of the site, which was probably not the intention of the author. I’m not sure that term will catch on, but I think it describes this section pretty well. When someone has an exclamation mark addiction, they tend to not just use it once, they will use it over and over again. I’m sure we’ve all received emails or spotted social media posts where every sentence ends with an exclamation mark. Repetition also amplifies the loud shouting effect, with sequential exclamation marks reading like either my hero Billy Mays (RIP) or the clichéd American secondhand car salesman in a local TV ad. Bakers & Co is my absolutely favourite brunch spot in Bristol, I’m salivating thinking about it. But with an exclamation mark in their subject line, 2 in their opening headline and another in the first line of body text, the start of this email just reads like the ramblings of a vert excited madman. 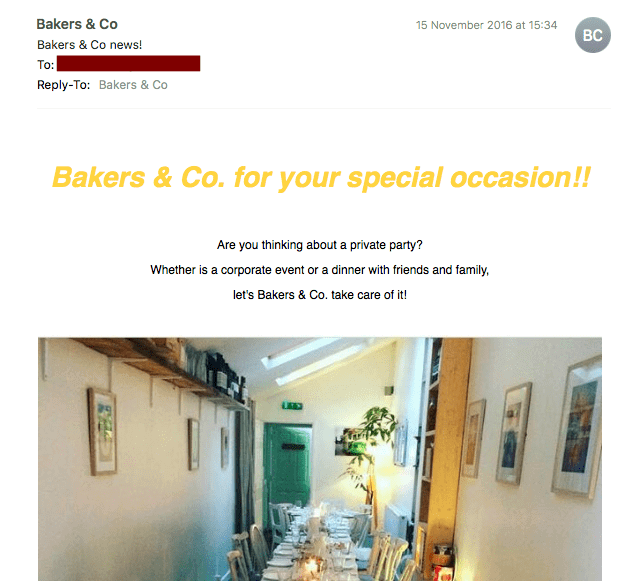 I don’t want to hate on Bakers & Co (because again, their brunch is literally to die for), but the other big mistake in the opening of this email is emphasising messages that just aren’t exciting to the audience. Now, by replacing these with more specific and less-emphasised text, the audience could understand a lot more about the offer, and be more enticed. 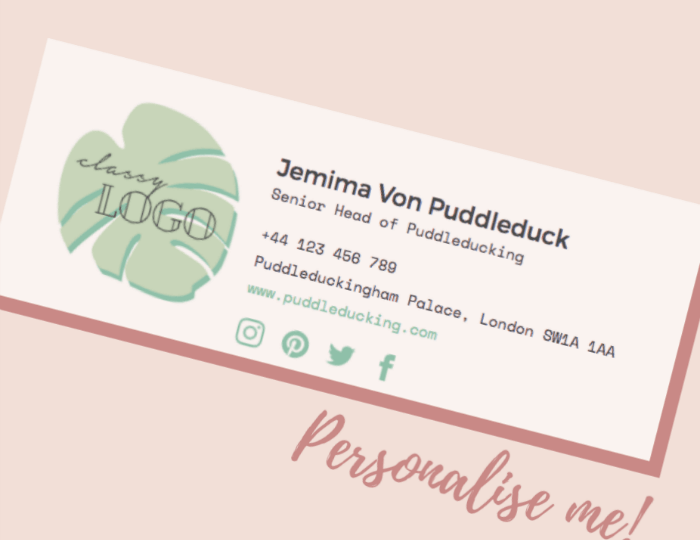 I’d use a subject line like ‘Book your unique Christmas party for up to 50 people’, this lets the audience know straight away what to expect in the email, and even if it’s not opened, they know the cafe offers Christmas parties which is the main objective of the email. Now just add a simple call to action like an email address or button linked to a form and you have a much more appealing message with no exclamation marks required. I couldn’t help butcher a quote from Disney Pixar here. Some people are just a tad exclamation mark-heavy without using the punctuation on sequential sentences. When used like this, the text can still read ok to the audience, but the over-use of emphasis can mean the messages are forgotten, as none stands out above the rest. 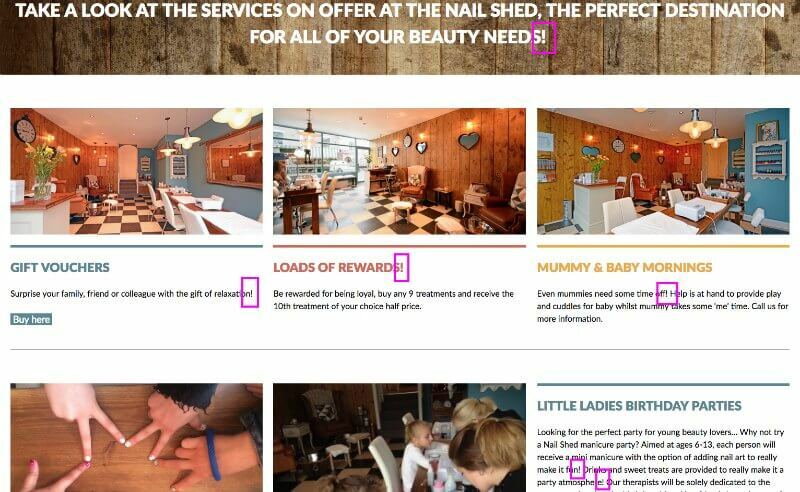 Take The Nail Shed on Gloucester Road as an example. 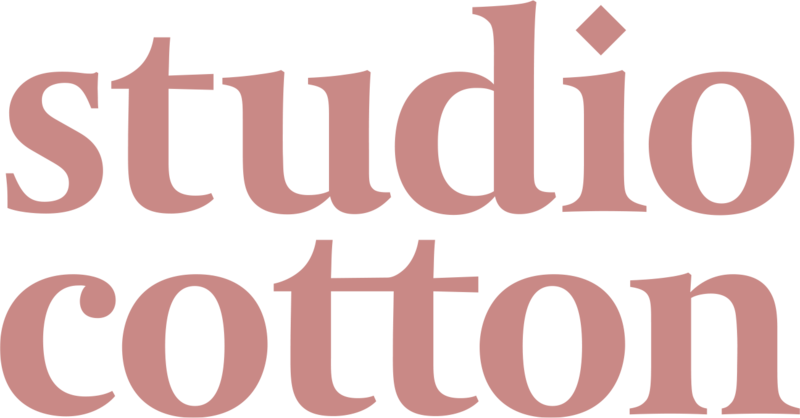 These guys have a beautiful shop and some of the best branding I’ve seen in Bristol for a beauty-based business. However, their website is a tad exclamation heavy. The services page on their site contains 4 main features, as well as a headline, all containing exclamation marks. By emphasizing so many features and benefits, it’s not totally clear what the most appealing message is, or the reader should take away. This is probably the easiest way to overuse exclamation mark, and I know I’ve been guilty of it before. 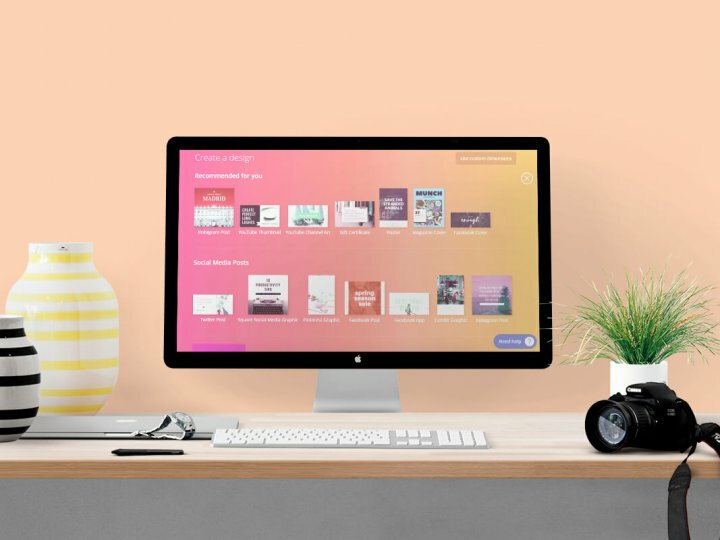 On social networks, especially the more text-based options like Facebook and Twitter – it can be incredibly easy to accidentally end every post with an exclamation mark. As these are normally written and shared one at a time, it’s easy to suddenly find yourself with a feed of posts that all read like little shout outs. The easiest way to remedy this is to write as many posts as possible in advance, as that can help you to envisage how the feed will work as a whole. 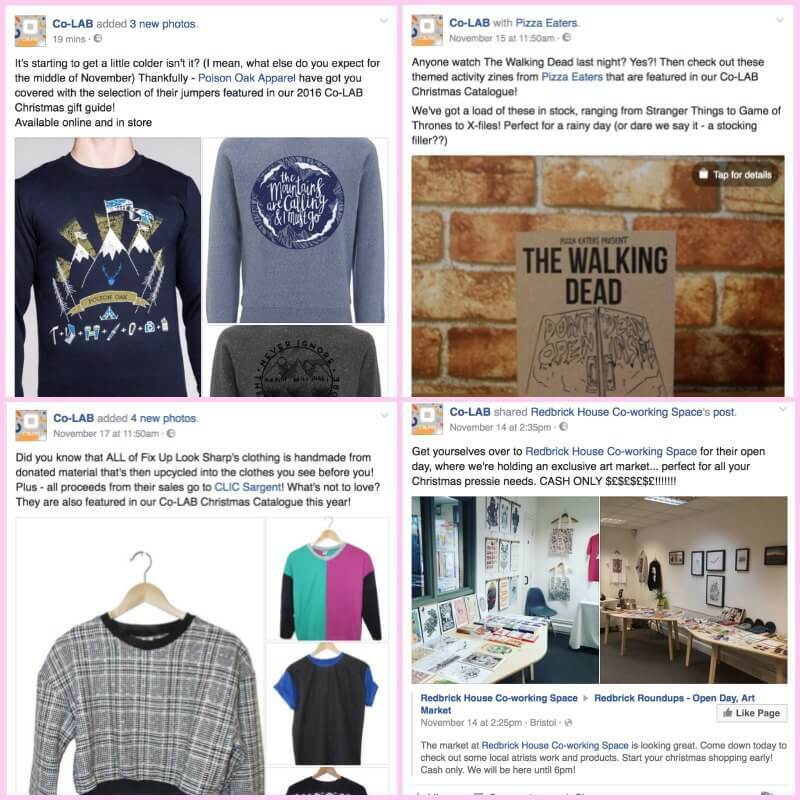 Bristol Co-LAB has a creative Facebook feed showcasing local artists and gifts available from their store in Broadmead. Their individual Facebook posts are all well-written and interesting, but when viewed in a single feed, almost every post contains at least one exclamation mark. On social media, you have a lot more tools at your disposal for emphasising messages – emojis. So if you know you’re a little exclamation mark-heavy but want to make sure each post is still engaging and exciting – try switching out a few exclamation marks for relevant emojis, just like Co-LAB have done here.